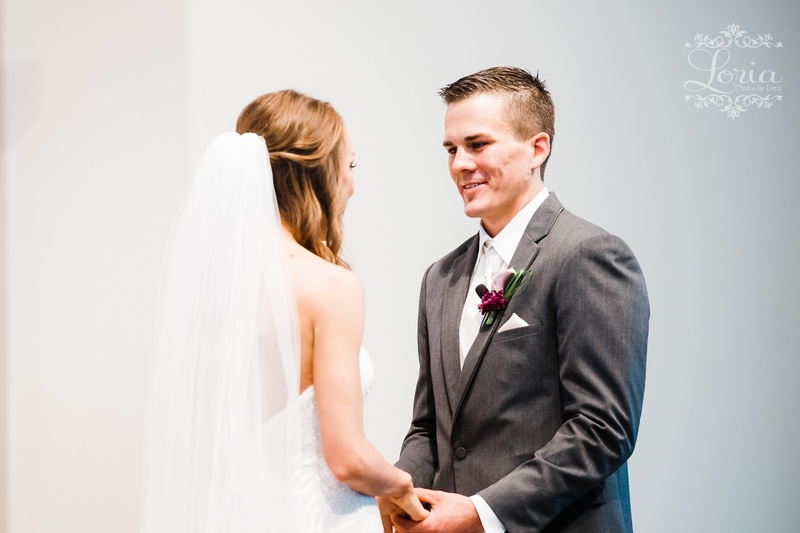 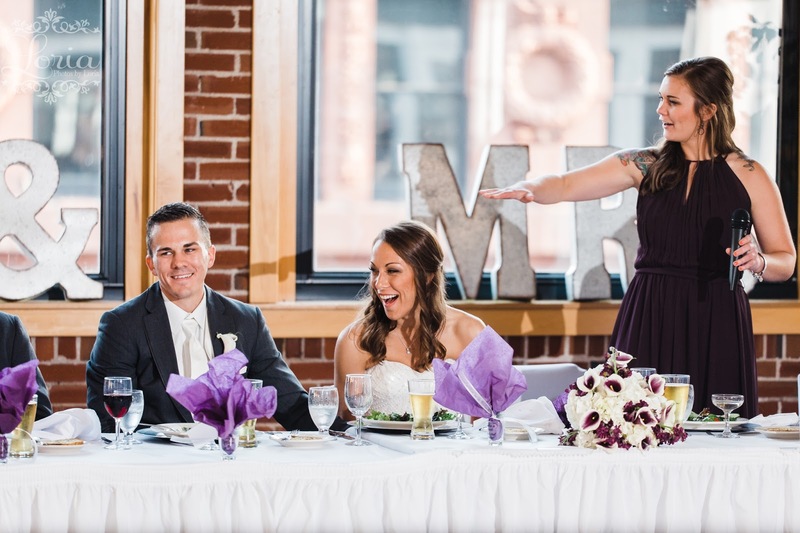 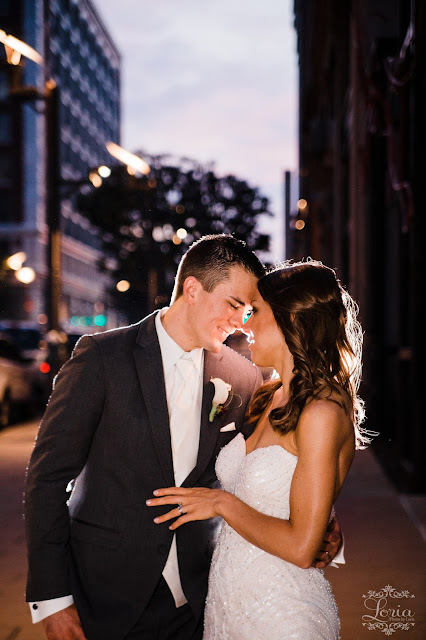 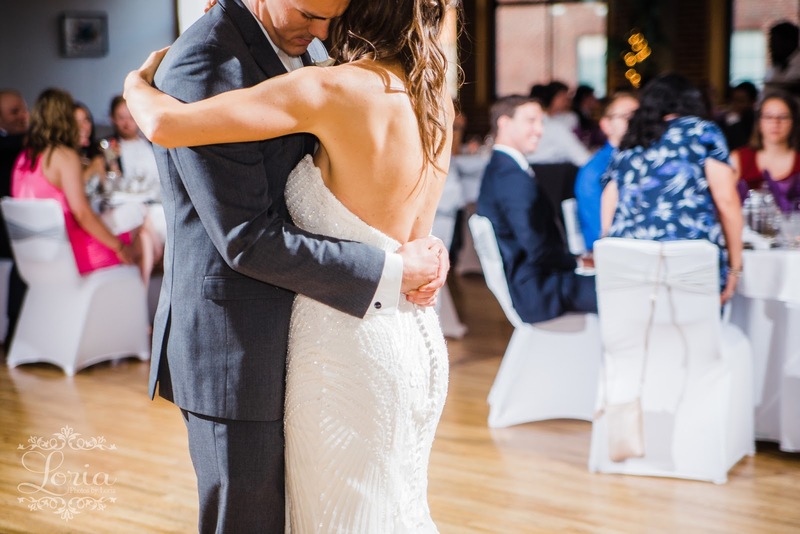 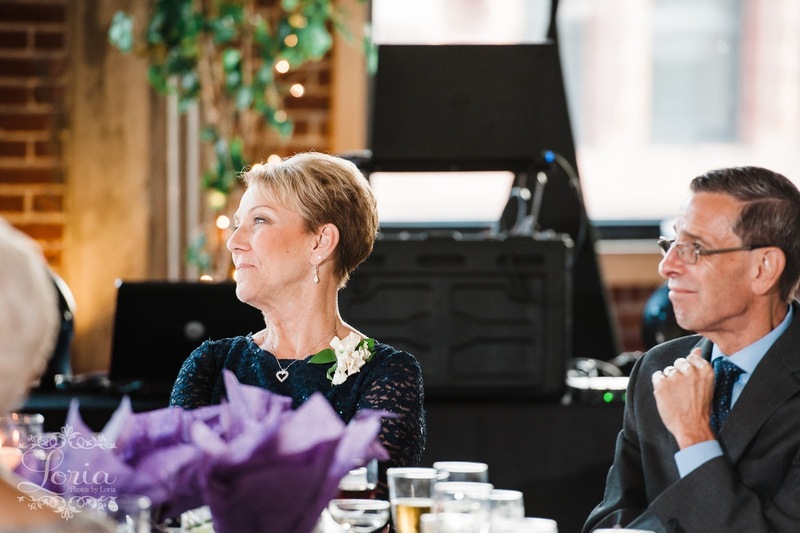 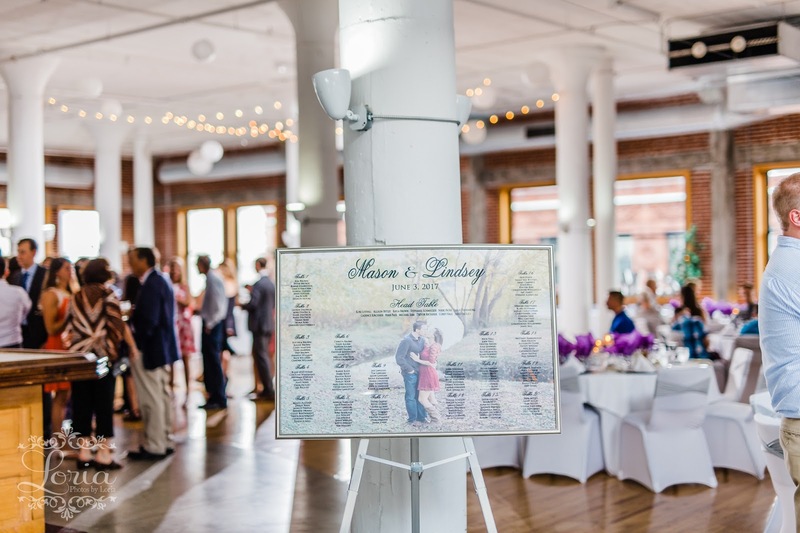 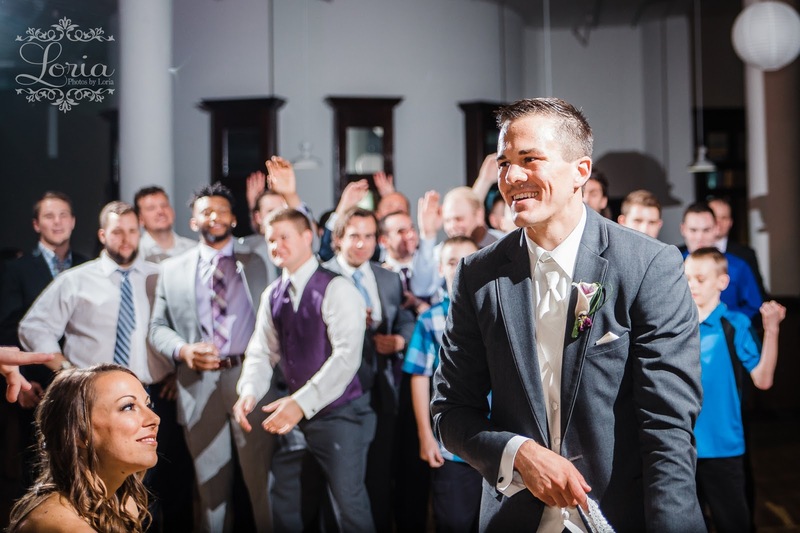 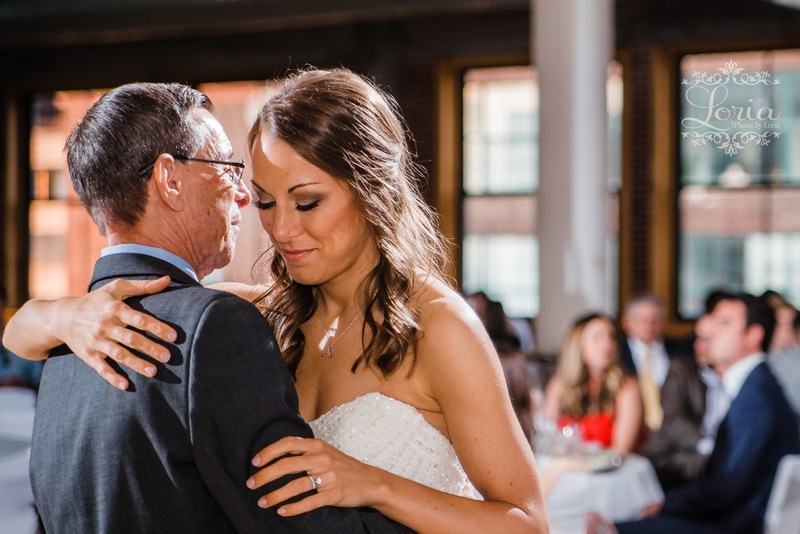 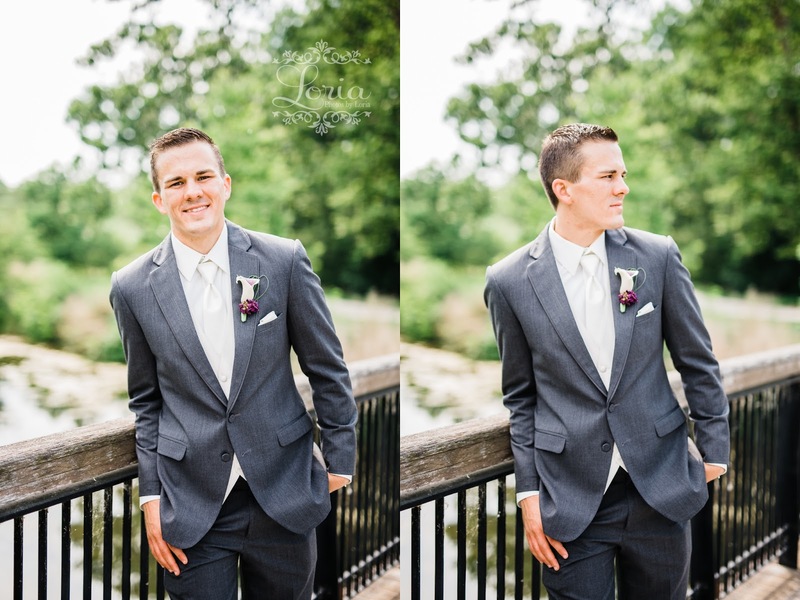 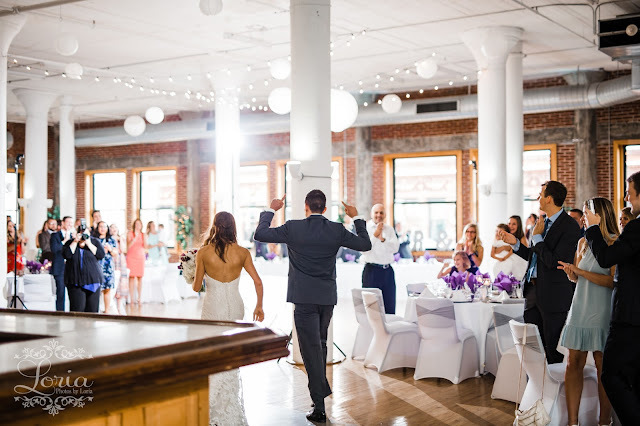 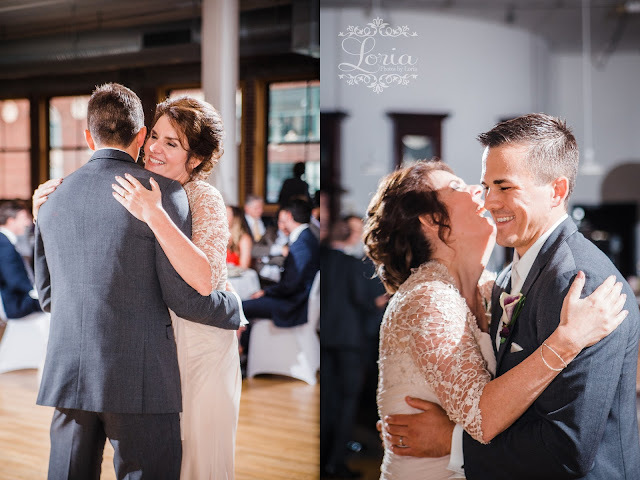 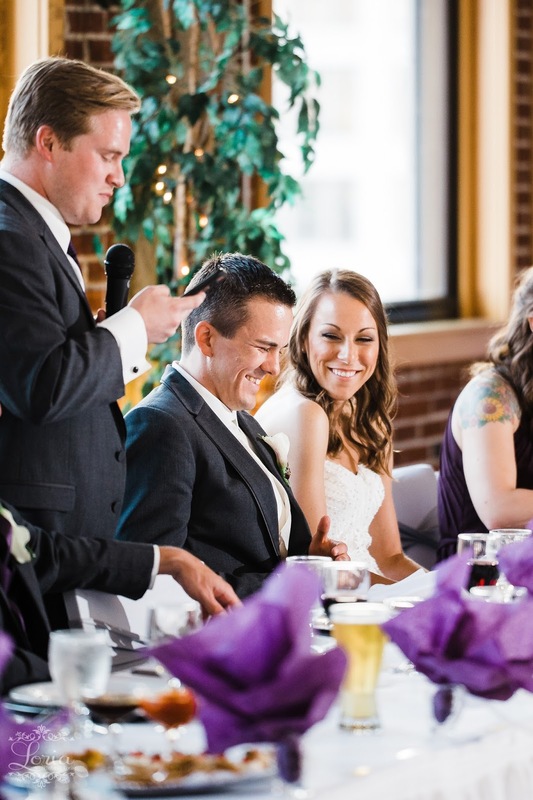 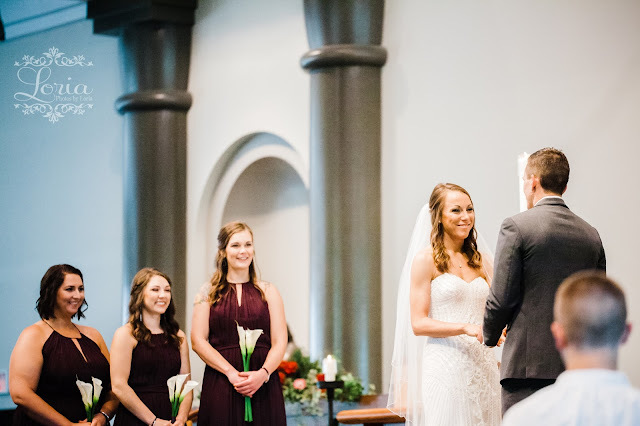 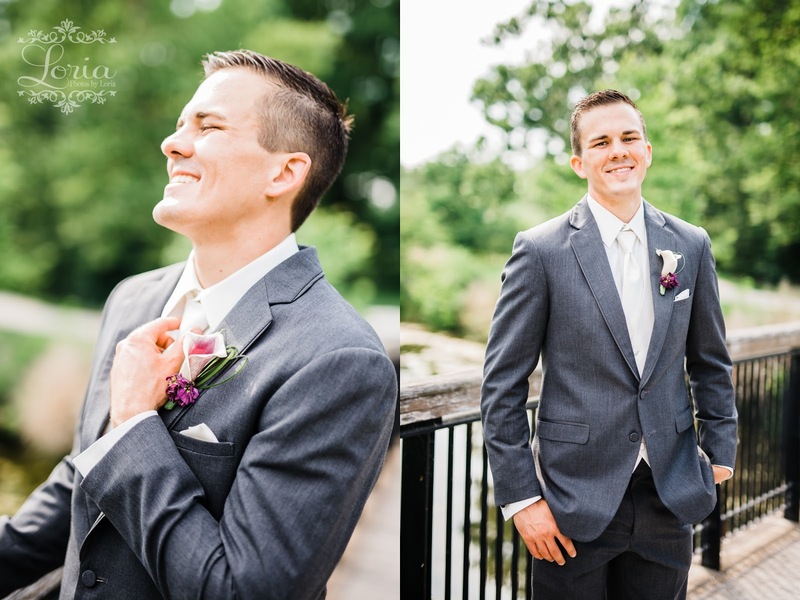 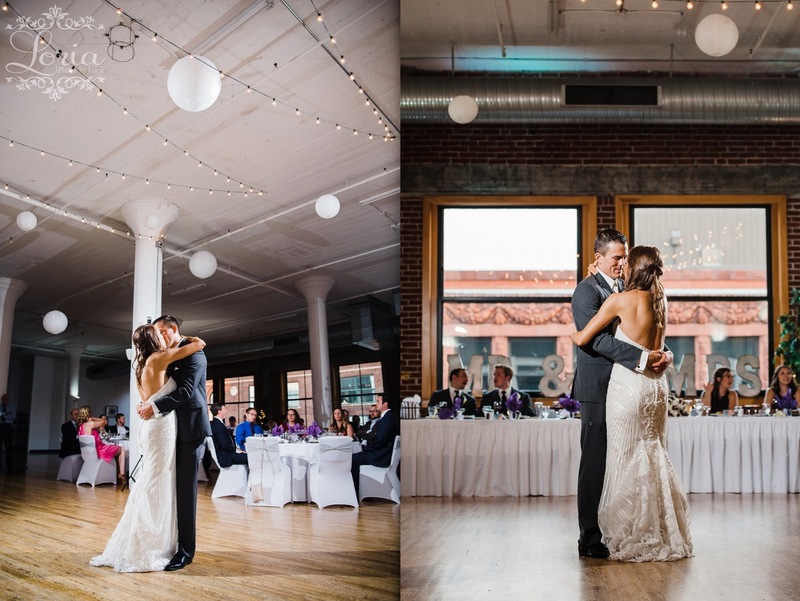 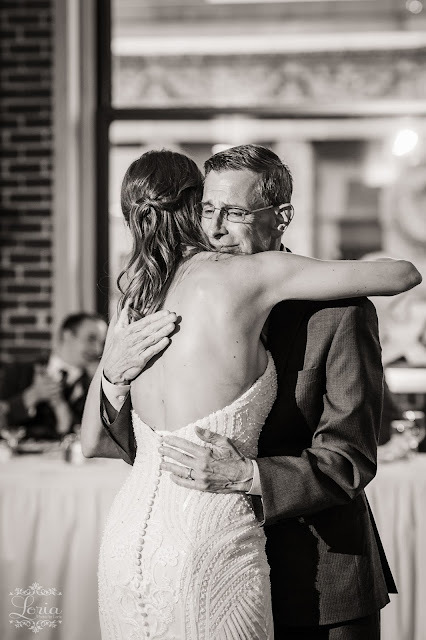 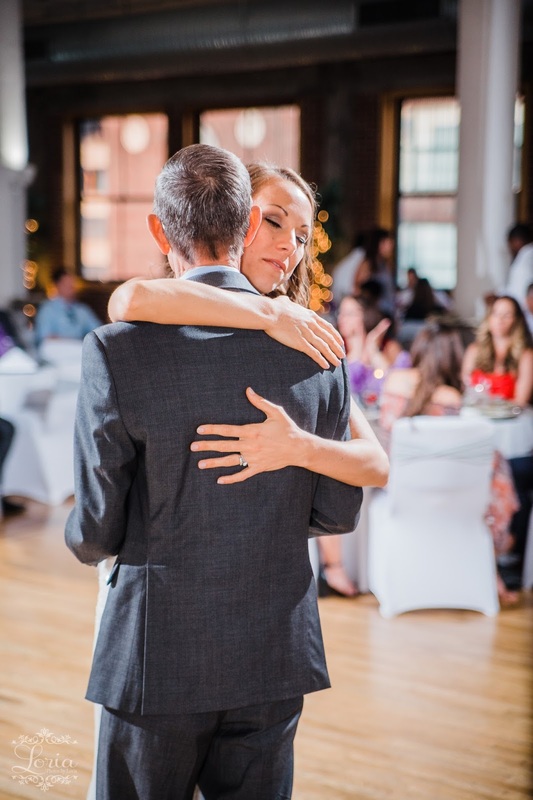 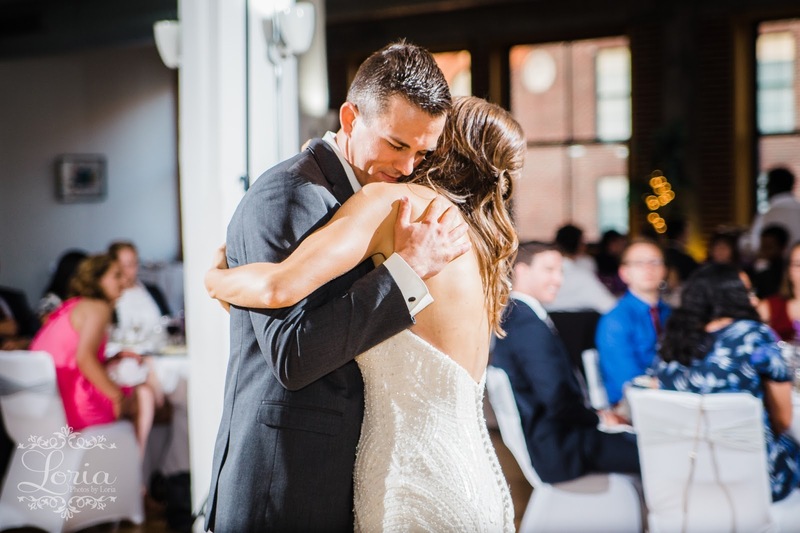 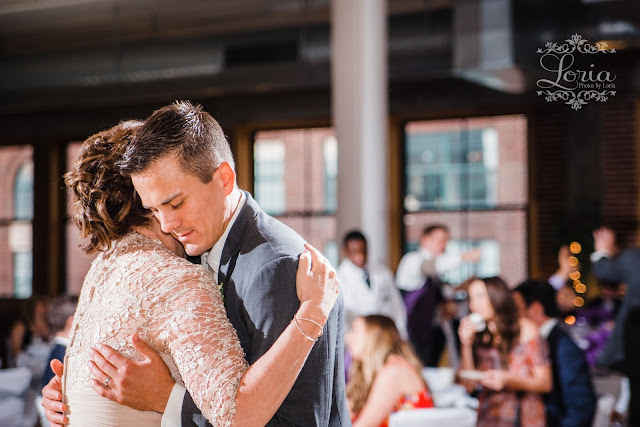 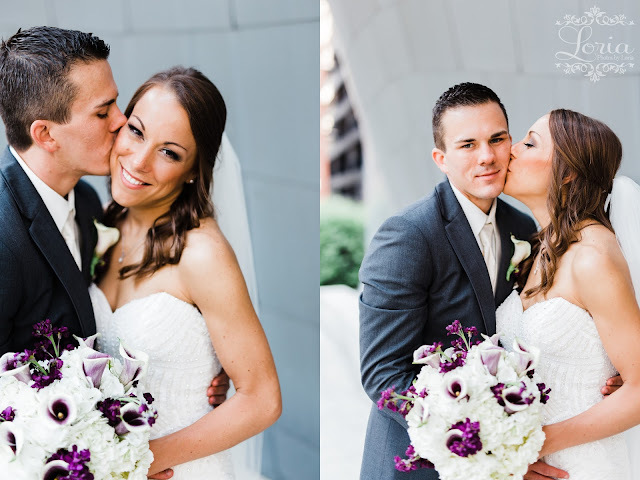 Lindsey and Mason met as two engineering students at University of Missouri - Rolla, where some of my very favorite love stories on this blog begin! 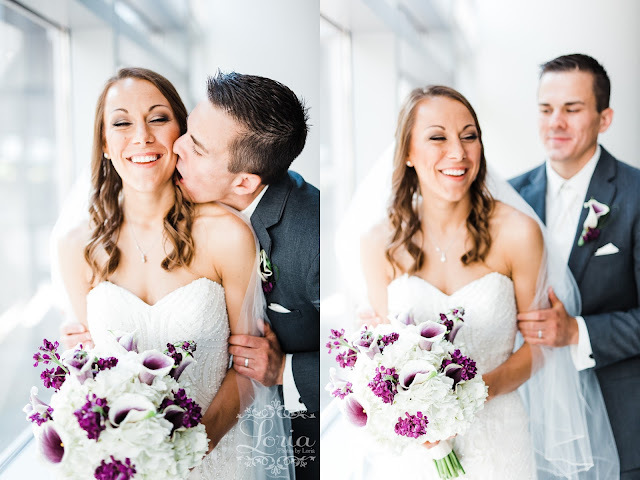 :) Mason was enamored with her, and in time he won her over to his charming ways. 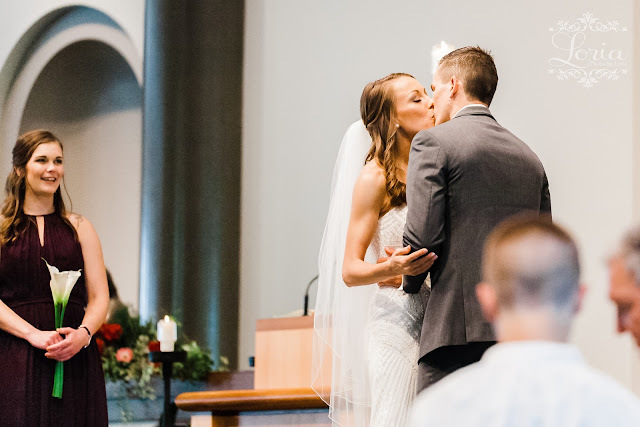 Almost two years ago, they became engaged, and this beautiful June day is what it all led up to. 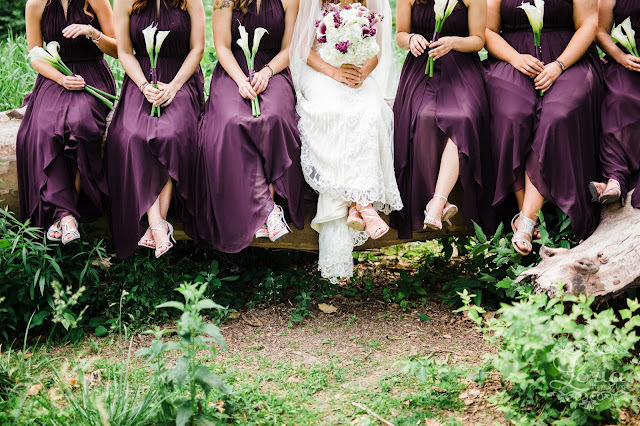 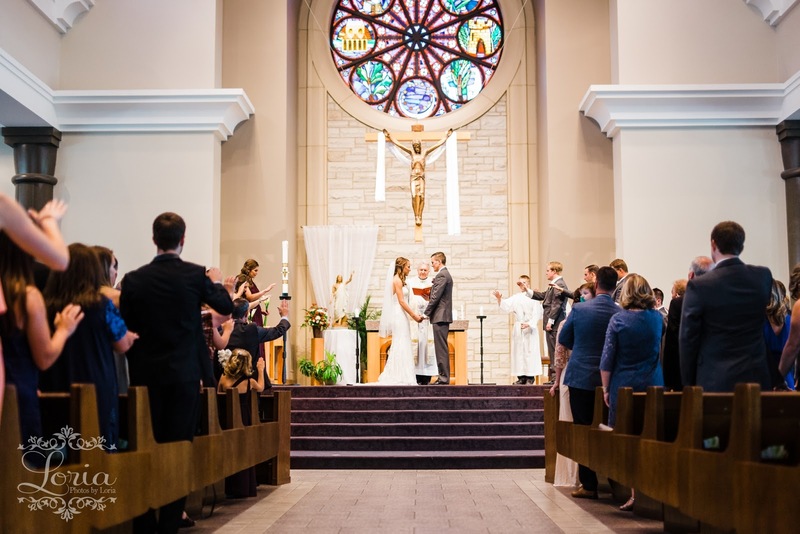 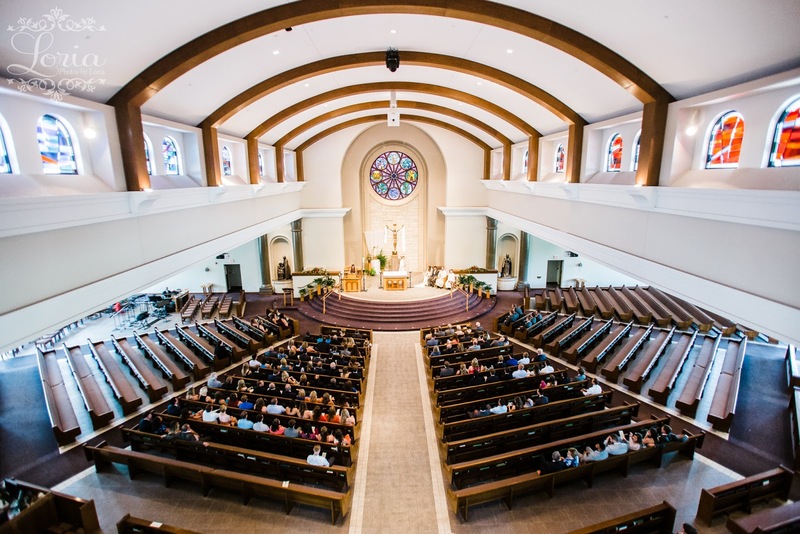 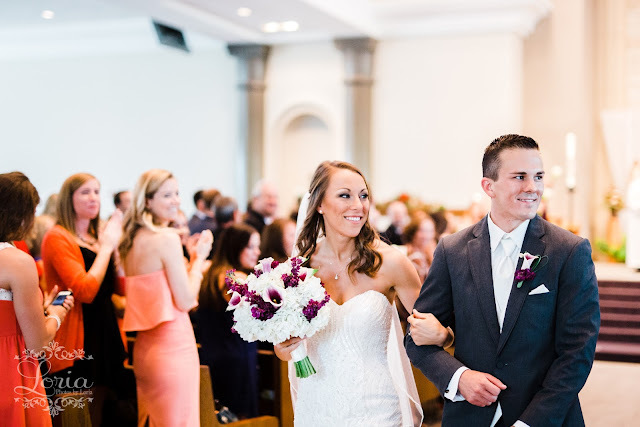 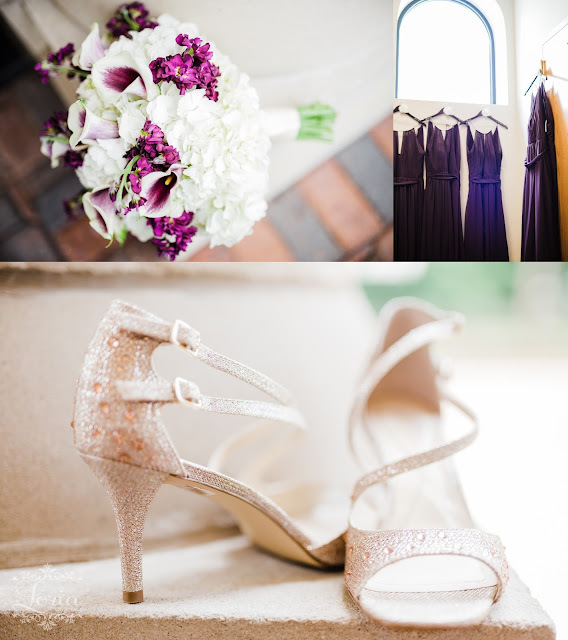 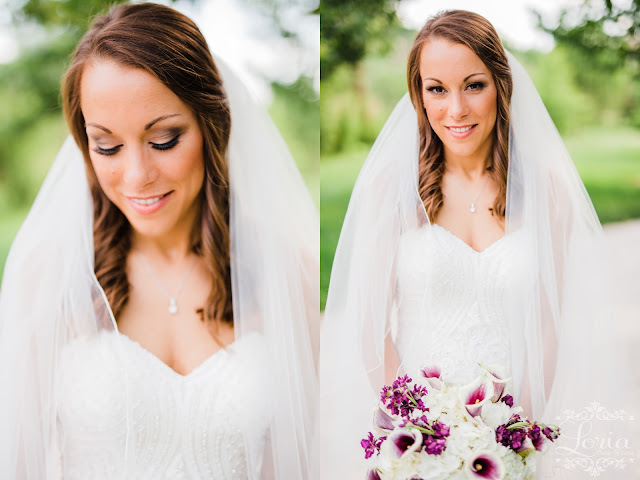 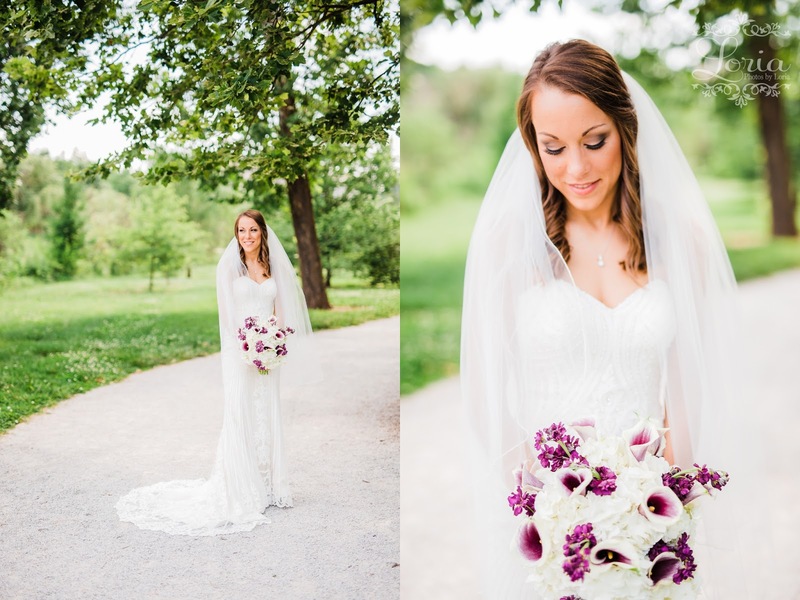 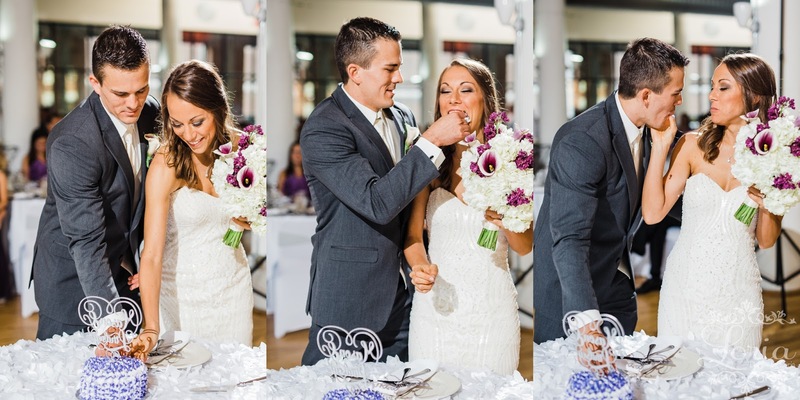 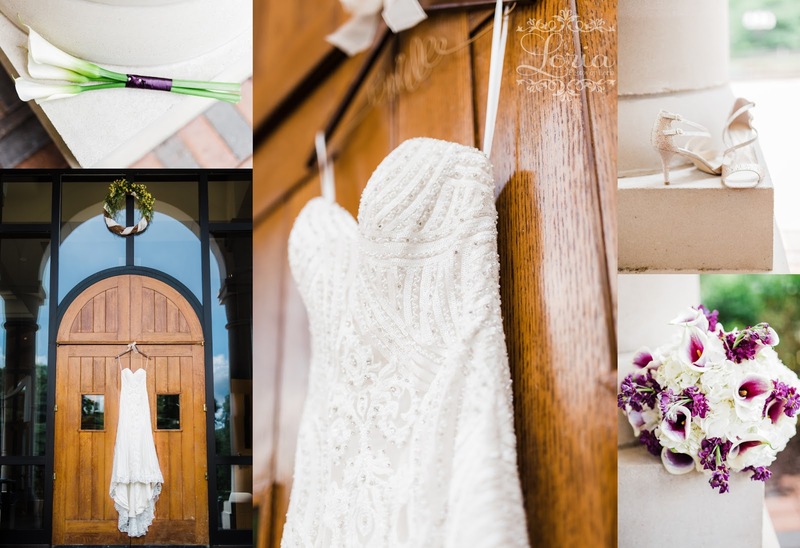 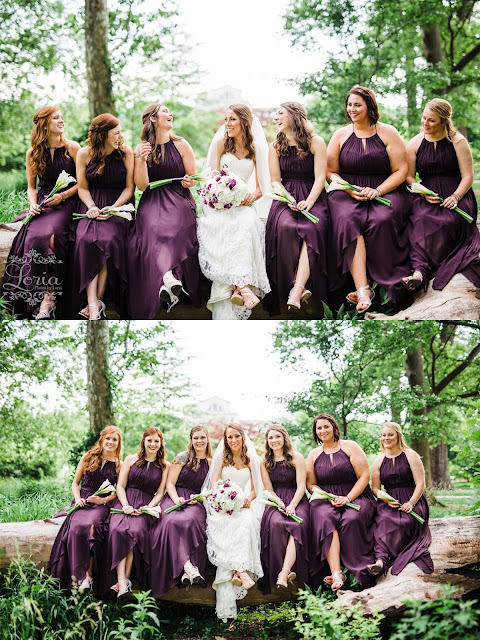 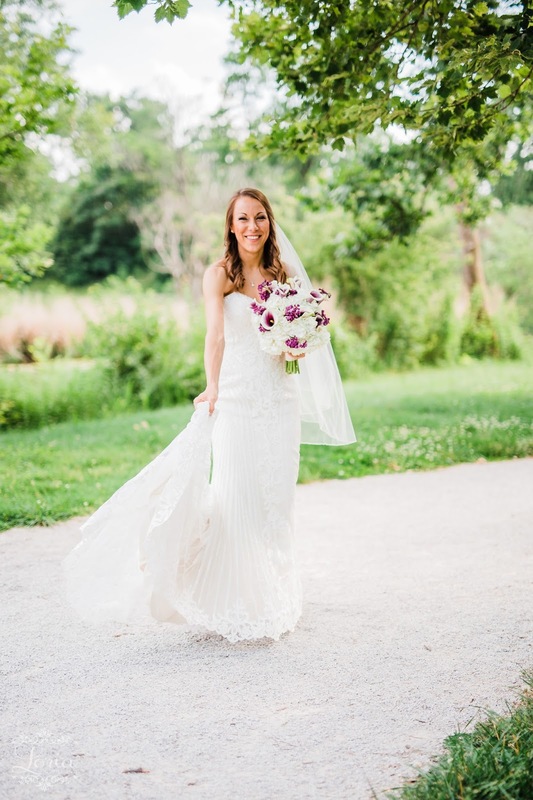 Assumption Parish in O'Fallon was the perfect location for their sweet ceremony. Mason was instantly in tears just as soon as he caught a glimpse of her through the glass doors. It was a warm day, but at Forest Park we had just enough shade and cloud cover for a pleasant time. 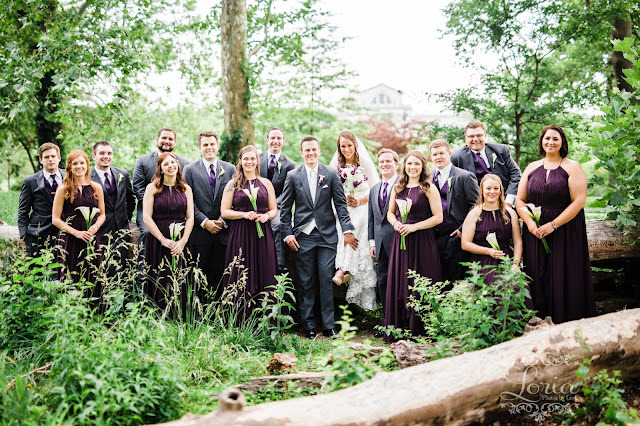 I kind of want to shoot every wedding party, session, and maybe everything ever right here on this fallen tree, haha! It was a lovely little nook. 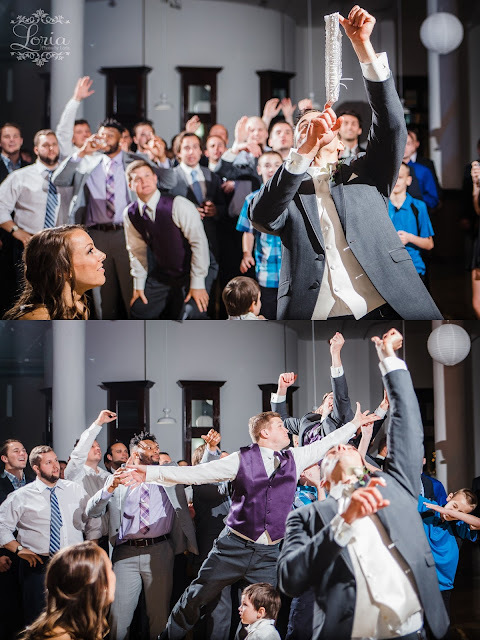 And Mason certainly brought it, as well! 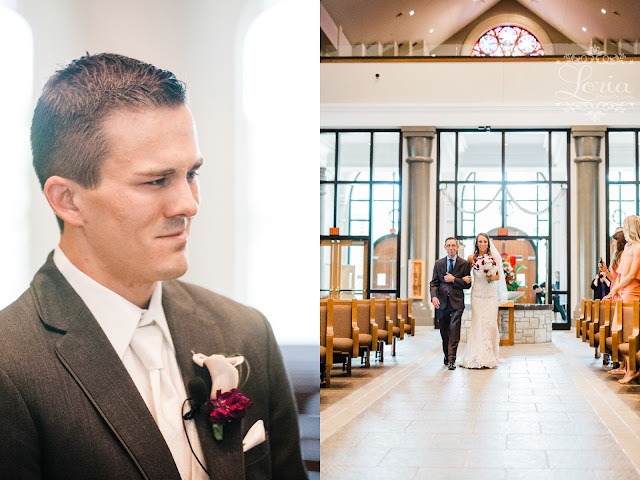 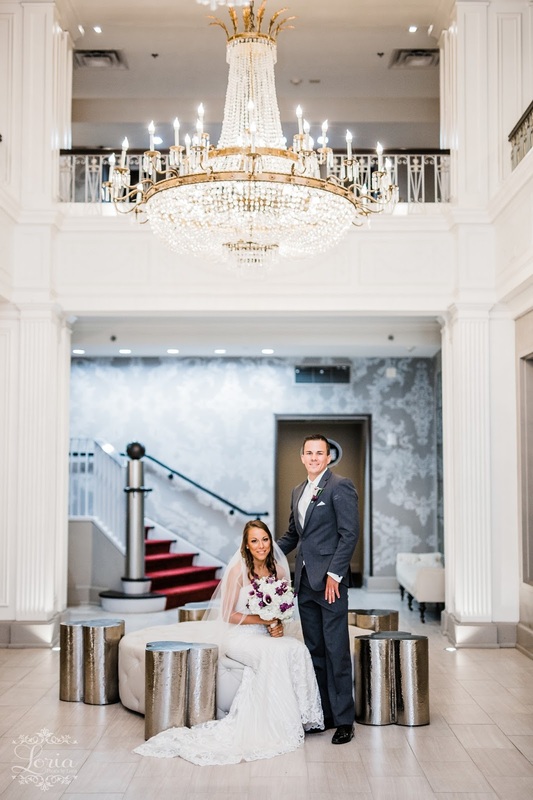 We snuck in a few more shots of just Lindsey and Mason at the Magnolia Hotel, a beautiful air-conditioned oasis. 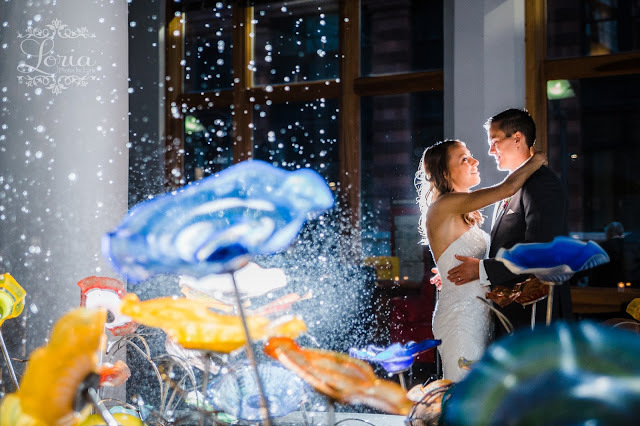 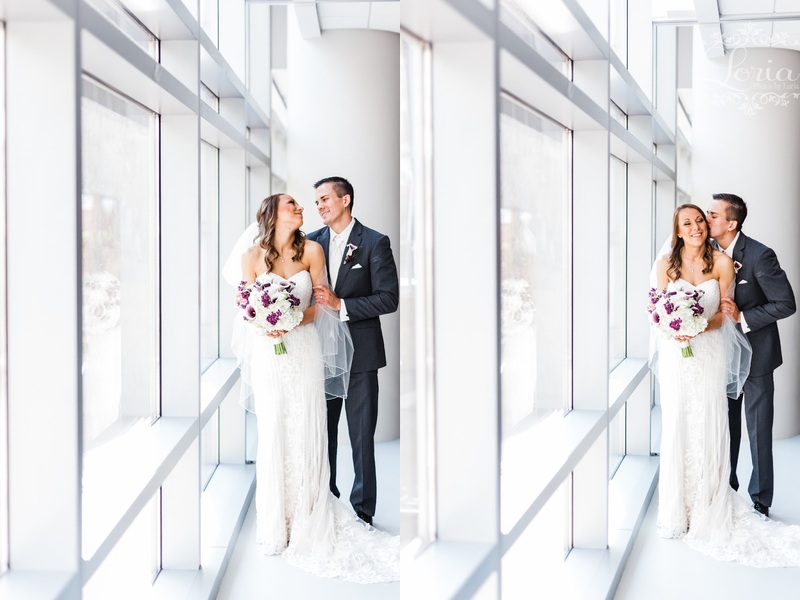 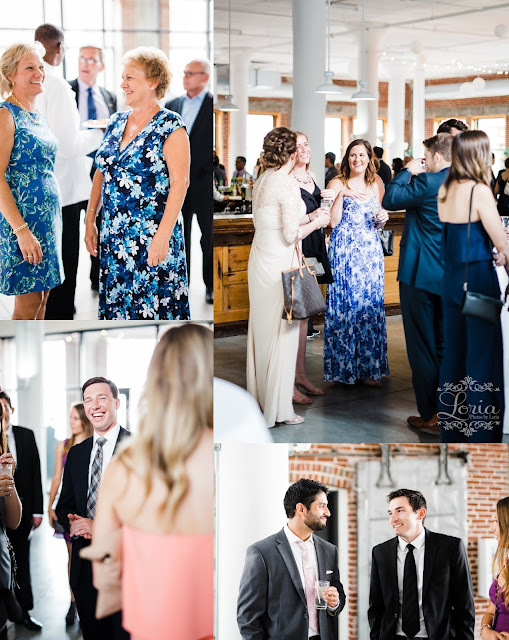 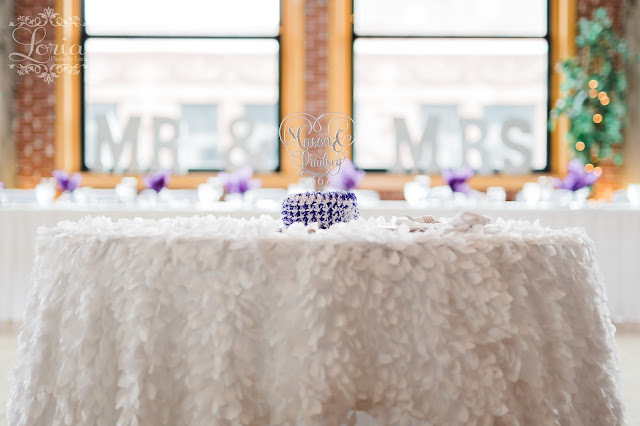 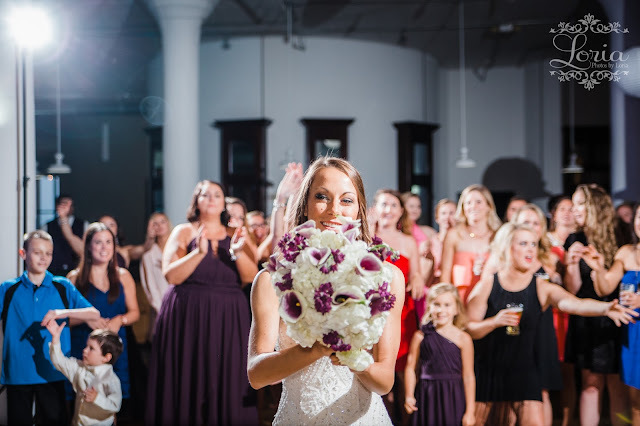 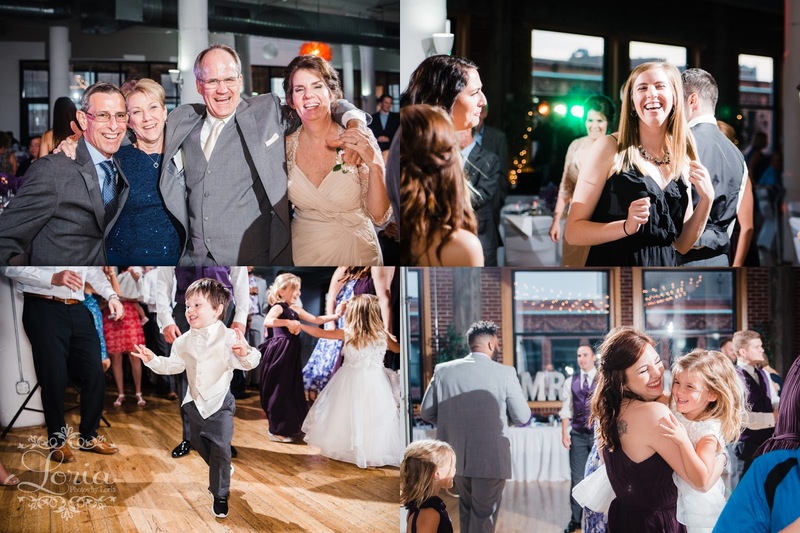 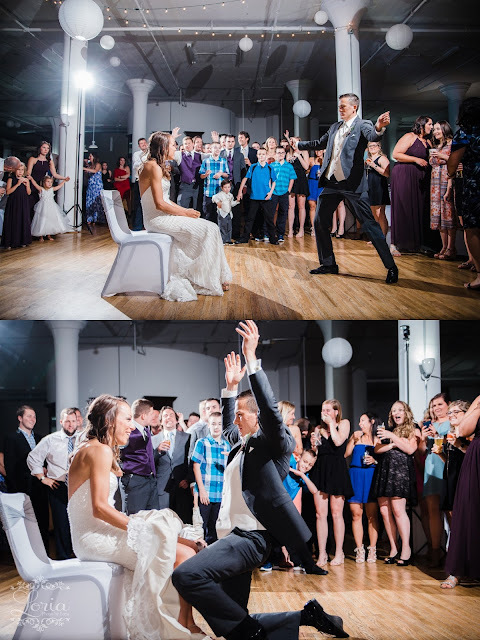 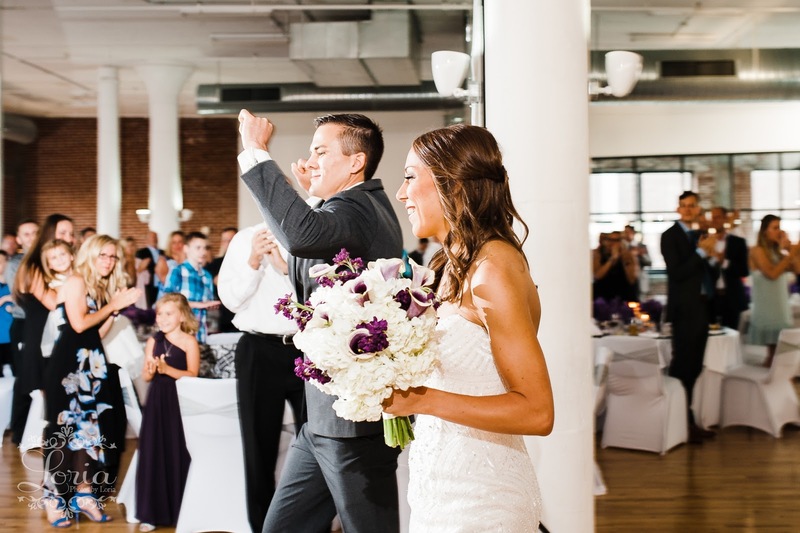 The reception was held at Windows on Washington, a venue famous for all of its natural light. 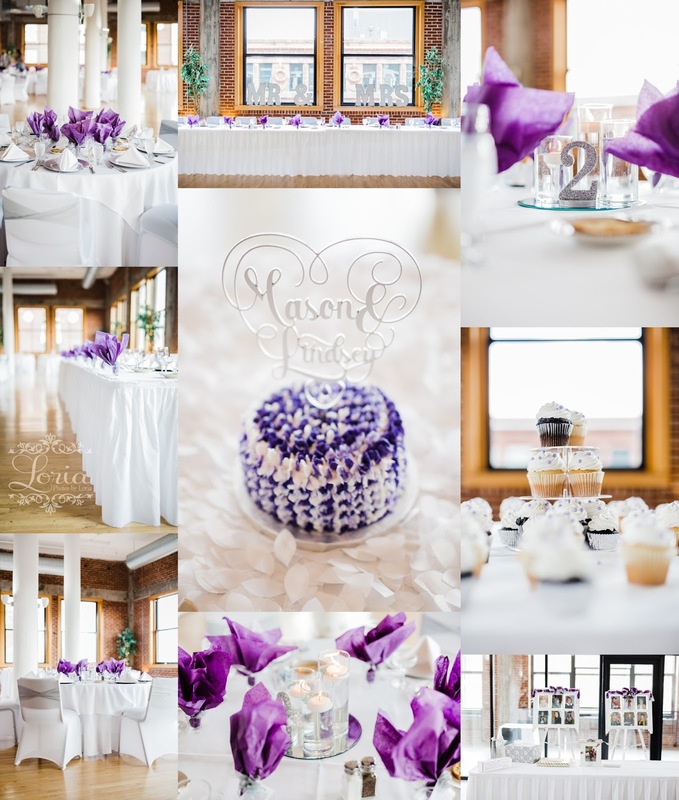 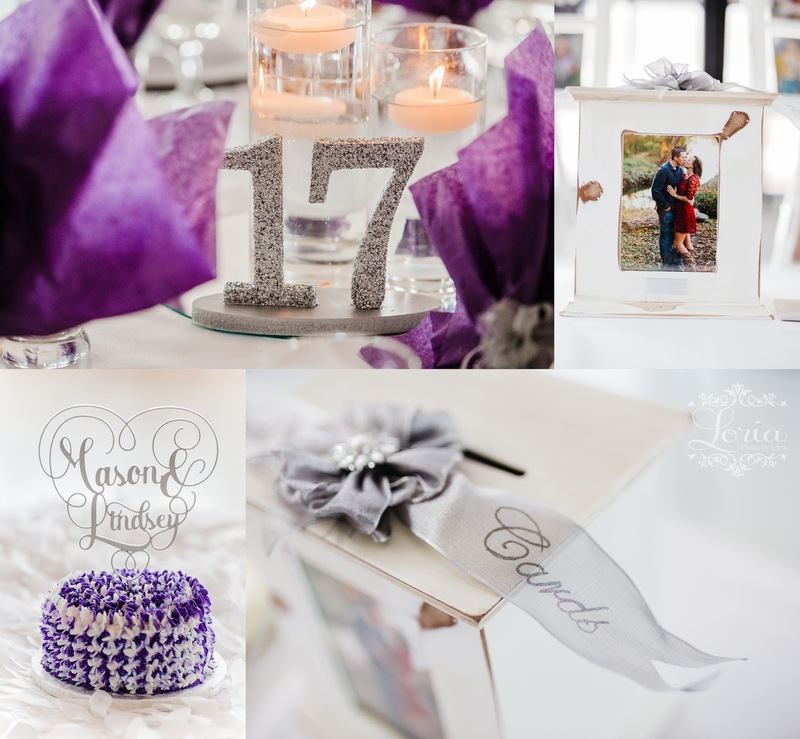 The purple and silver decor complimented it delightfully. 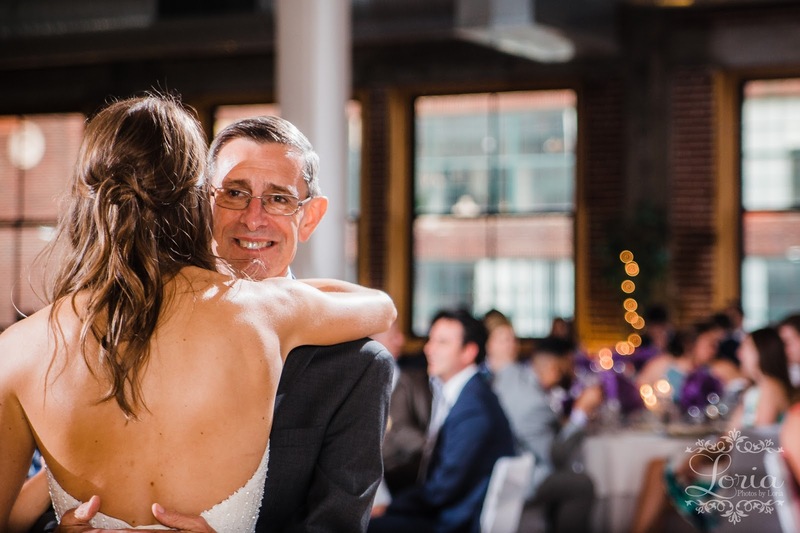 Pretty much the entire night was filled with love and, well, adorableness. 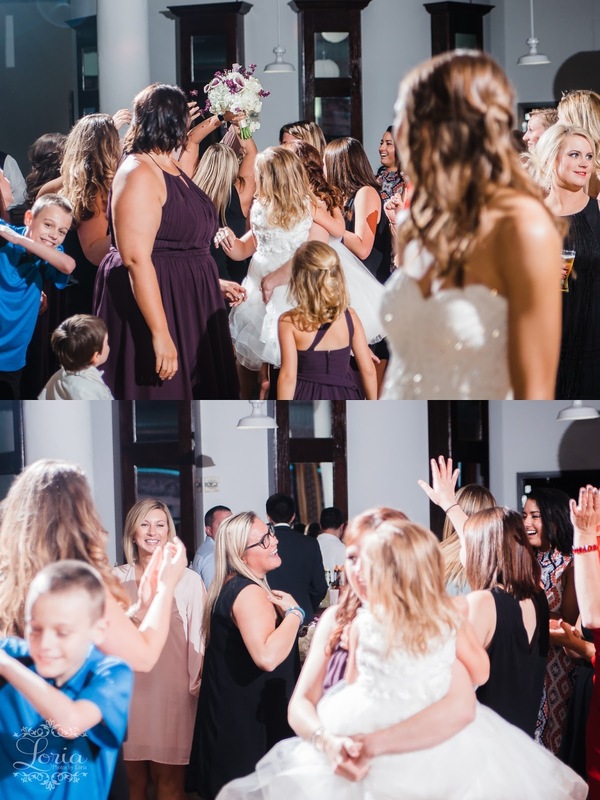 The dance floor was popping! 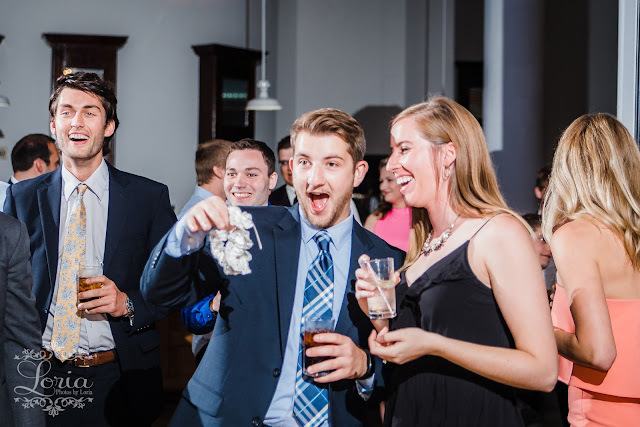 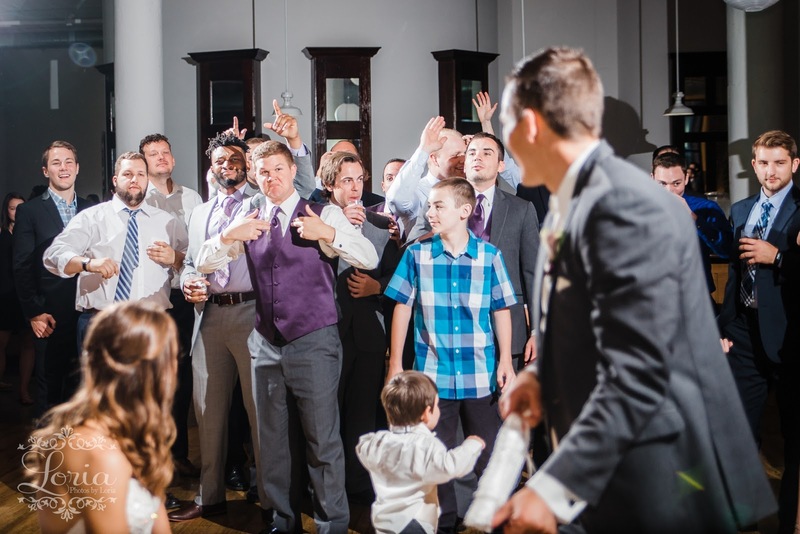 Mason took his garter-retrieving duties very seriously. 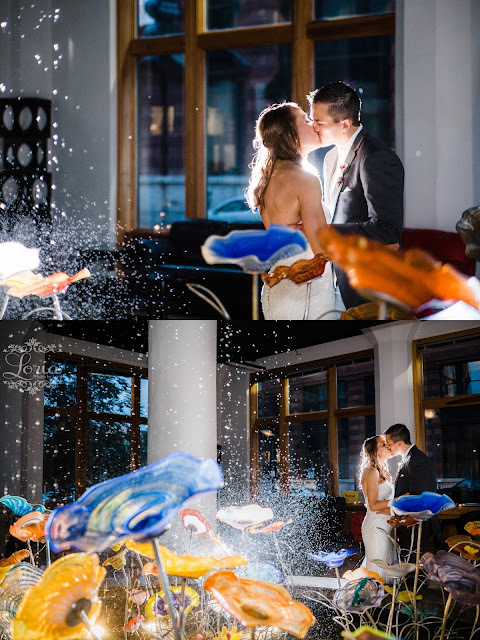 Before we packed up for the night, we snapped a few more shots in the beautiful lobby, and the city at night.